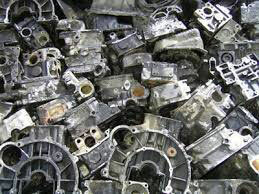 We are bracketed with the top most Aluminum Tense Scrap Exporters and Suppliers from Thailand. We present a wide range of Mixed Aluminium Castings that are clean, free of iron, brass, dirt and other non-metallic items. They may contain auto and airplane castings but no ingots. Also, they contain less than 2 % of oil and grease. We make them available in various grades and specifications to meet the diverse industrial requirements. Buyers can get them from us at reasonable prices.